I missed the SD67 meeting tonight because I help coach my daughters' volleyball on Wednesday nights. All I know is that SD67 decided to close West Bench Elementary despite the subsidization proposal below (story in The Herald). Thanks to those who filled me in on the details at the meeting. I have requested reconsideration as outlined in the follow-on post. As some may have noticed on the Keep West Bench Elementary Open! Facebook group, the RDOS has been asked to "do something" about the impending closure of West Bench Elementary. This is tricky. To this point, the RDOS has stayed out of the debate (as is appropriate since the Board of Education is a duly elected government in its own right). We have supplied SD67 with some information about growth potential and so on (as documented in this thread). Unfortunately it was insufficient to convince the majority of trustees on the Board of Education. Now that the (provisional) decision to close West Bench Elementary has been made, it may be time to consider more drastic measures. As noted previously, the RDOS has no role in the decision to close a school and no right to meddle in the decisions of another level of government. The RDOS can, however, change the economic structure of the decision if residents want us to. Utilization of West Bench Elementary is currently low. There are few students relative to the physical size of the school and the number of teachers. This is reasonably well documented by SD67. The implication of low utilization is that the cost-per-pupil of West Bench is higher than other schools in the district. This is seen by the Board of Education as a source of unfairness. 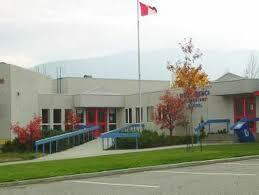 Rural schools in Naramata and Kaleden (and elsewhere in the province) face the same economic reality. However, in some rural areas, the Province of British Columbia provides an additional subsidy to rural schools so their cost-per-pupil (as seen by the local school district) is more in line with the district average. For this reason, Naramata and Kaleden were excluded from consideration in SD67's school closure decision. Such rural subsidies might make sense if the province as a whole depends on people living in rural areas for beneficial economic activity such as agriculture, forestry, resource extraction, and so on. However, it is hard to argue that the West Bench qualifies for a provincial rural subsidy because very little beneficial economic activity is tied to its ruralness. Indeed, most of us live in this rural area because we want to, not because our livelihoods depend on it. You may argue that the same logic applies to Naramata, Kaleden, and Trout Creek, but that is a discussion for a different day. The point is: (a) the West Bench Elementary does not qualify for a provincial rural subsidy and (b) I am not optimistic that this will change. Having said that, the West Bench is rural enough (that is, far enough away from Penticton) that not having a neighborhood school imposes significant costs on the parents of children. Carmi Elementary school is simply not within walking distance of any property on the West Bench and thus parents must make some arrangements to get their kids to school. Although school buses run on the West Bench, the distances between houses and bus stops are often considerable. And the buses take a long time to wend their way through our low-density neighborhoods. The additional costs incurred by parents of school-aged children due to school closure will impact all property owners on the greater West Bench. Since the loss of the neighborhood elementary school makes the West Bench less desirable for families, there will be less demand for homes on the West Bench. The expectation is thus that property values on the West Bench will decrease. Bottom line: The loss of West Bench Elementary creates some economic costs for all property owners on the greater West Bench. Although it is very difficult to quantify these costs, I assume they are not trivial. West Bench residents should therefore be willing to pay some amount (less than their closure costs) to keep the school open. So what is being proposed is a subsidy that puts West Bench Elementary on the same footing as Naramata and Kaleden schools. The difference is that this subsidy will be paid by greater West Bench taxpayers rather than the province. The amount of money we are talking about is not pocket change: if we assume an operating grant of $150K per year (like Naramata and Kaleden) split between the 700 or so properties in the West Bench, Sage Mesa, Husula Highlands, and Westwood Properties neighborhoods we are looking at an additional tax of about $220 per year for the average household. High-valued properties may end up paying closer to $500/year; low-valued properties may pay closer to $100/year. The potential role of the RDOS in this scheme is simply as tax collector. The RDOS can levy a tax against every property in the West Bench school catchment and forward the money as an operating grant to SD67 on behalf of West Bench Elementary. Regional districts in British Columbia are permitted to do this. Indeed, they are permitted to collect taxes for any purpose EXPLICITLY PERMITTED by the majority of taxpayers in the affected area. Will SD67 accept this proposal? I assume they will given their previous decision not to consider Naramata and Kaleden for closure due to the significant rural grants. Will residents of the greater West Bench agree to pay more out of their own pockets to keep their rural school open? This is certainly not my decision. It is YOUR decision as residents and taxpayers. Nothing happens on this until we receive voter assent. Please let me know if you have any questions, concerns, or encouragement. You can email me at mbrydon@rdos.bc.ca or use the comment feature below. I feel I should add a comment about the fairness of this proposal since it may come up. Here is the issue: a subsidy of $150K per year, however costly it may be for West Bench residents, barely puts a dent in the total amount of money SD67 would like to save. As such, a West Bench subsidy does not solve the overall problem, it merely shifts the position of West Bench Elementary down the list of closure targets by a slot or two. Other schools--I am thinking Carmi, which I attended for eight years--will thus shift up a slot. If SD67 accepts a rural grant from West Bench but then decides to close Carmi Elementary, we will certainly face the accusation that the West Bench bought its way off the list. Given differences in the assessed property values between the Carmi and West Bench catchments, such accusations may ring true to some. My own view is that Carmi school parents simply do not face the same costs as West Bench parents if their school closes. So regardless of what they are able to pay to keep their school open, they should be willing to pay less than West Bench parents. I want to let you know I'm against any additional tax to keep the West Bench School open. I see very few children walking to school and the distance driving to town is not that onerous, certainly not like driving the Naramata road. Some parents may feel a tax levy is fine if their children are attending the school but once they've moved on they probably won't be so inclined. Underused schools are not a good management of our tax dollars and I do believe the children are able to make the transition to a different school without suffering dire consequences. Just letting you know my opinion. [...] my kids are out of the school too so I know what you are saying. One issue that might be worth considering, however, is property values. Homes on the West Bench tend to be large. As retirees look to downsize they will need a younger generation to buy their houses. A boarded-up school will almost certainly hurt the resale value of most houses on the West Bench because it will make the West Bench much less attractive to families. Either way, the debate on this issue is just starting. Much as I'd like to see the WB school kept open, I would not support another tax on residents to make that happen. I think the reasoning of the School Board for closing Wb (and Trout Creek), was badly flawed; rural schools should not be lumped in with the urban ones as they have specific values for the area in which they are located ANd closing them to avoid doing so to another urban school is particularly unsupportable. I do not think, therefore, that the WB residents should have to pay extra for something that the Board/Provincial govt. should be supporting. Indeed, if there is a special grant or ? for rural schools, that should be applied to both WB and Trout Creek. My guess that is if we wait for the province to do something on this the school will be closed. Plus, there is the other side of it: The province might say, "If your school is so important to the neighborhood, how come residents weren't prepared to pay out of their own pockets to save it?" Public support for a the subsidy is an opportunity for the West Bench residents to show convincingly how important the school is. This would be helpful down the road in making your case above to the BC government. As a home owner in the west bench area I am adamantly opposed to the concept of adding a special tax to keep the West Bench school open. The students having to ride a bus will not impact the quality of their education. The parents and residents that want to keep the "community center" aspect of the school can fund raise. This should not be a cost to the regular taxpayer. There seems to be some confusion regarding the amount of time required to establish an RDOS subsidy for West Bench School. Should the Bylaw receive 3 Readings by the Board of Directors, the Board would determine the process to be followed to obtain public assent. Should it be successful, the Board could adopt the Service Establishment Bylaw. Once approved, we could requisition for funds in the 2017 Budget. Should the School District be interested in pursuing this option, the Regional District could probably be in a position to enter into a Contribution Agreement within 6 months of process commencement, should the off-ramps of provincial approval and public assent be avoided. This approach to a partnership between a School District and a Local Government to keep a school open in a community would be breaking new ground and I’m sure there would be discussions about how this could best proceed; but, because of the importance of a school to the character and quality of life of our ratepayers, we’re interested in giving it a shot.